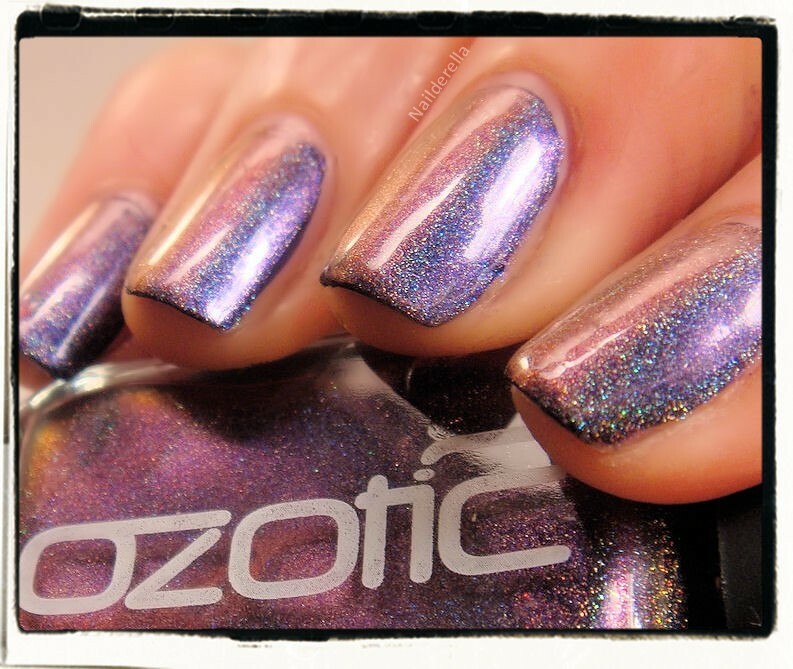 Here I am again with the 3rd part of my review of the new Mish Mash collection by Ozotic. If you missed my post about 531 and 532, click on their respective number. 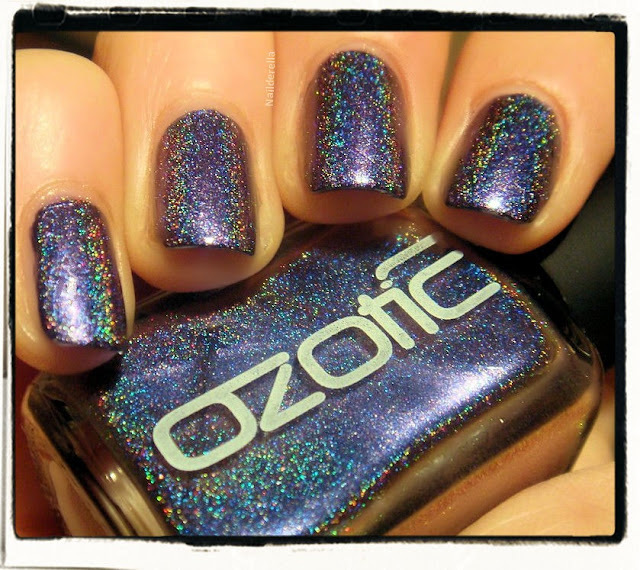 This is Ozotic #534.The major colors in this polish are royal blue and royal purple. However, according to the lightening, you can also see different kind of purples, like a soft lilac for example. In low light, the polish takes a sweet pinky coppery shade, too. Moreover, like all the Mish Mash polishes, they show a linear holographic pattern! Royal blue with some dark red-purple on the edges. Dusty coppery purple and blue. Sweet pink copper and blue. It reminds me of a glaxy! Final verdict: wow, this Mish Mash collection (Ozotic) is really impressive. Everytime I wear a polish from this collection, I tell myself that this one is my favorite...they are all really gorgeous. The predominant features of #534 are royal blue and royal purple. It can also take some pink and copper shades in low light and lilac, too. 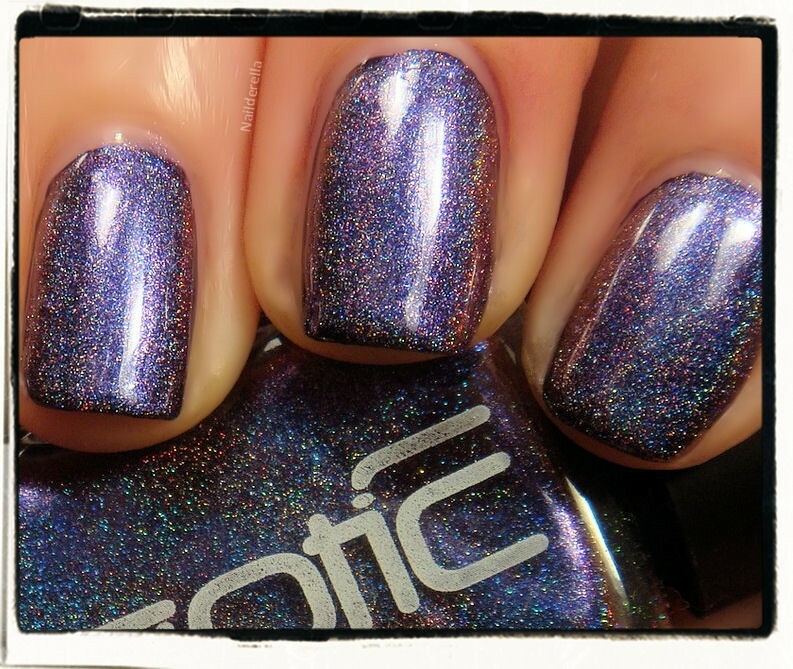 In these pictures, I used 2 coats over OPI Road House Blue (a dark navy blue). 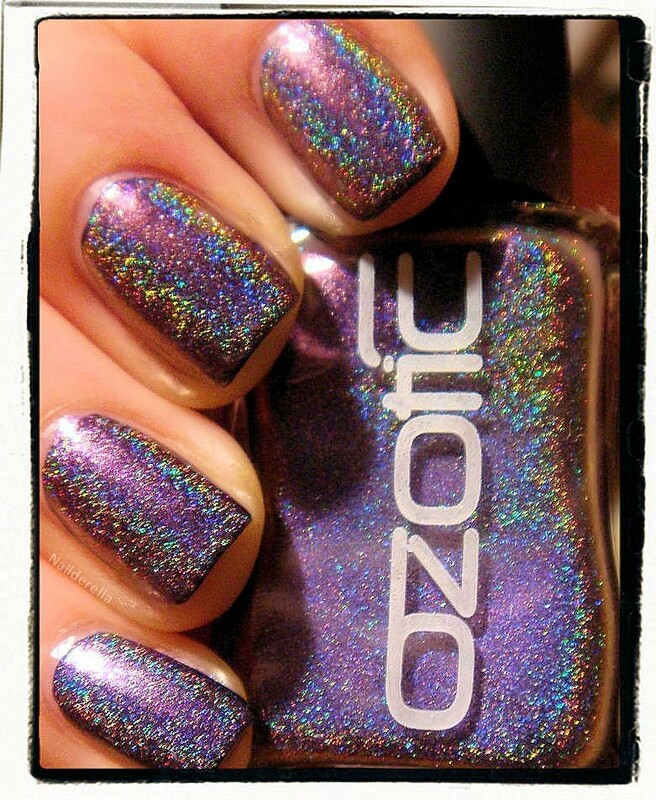 It's a rather sheer polish so you have to layer it over a base color. Application was flawless and the brush is great (roughly the same size as OPI brush). 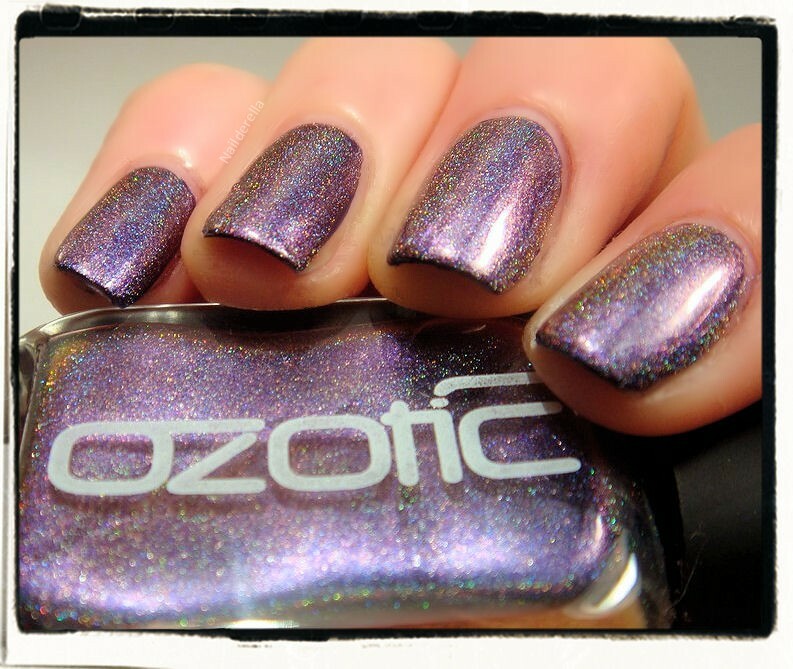 Ozotic polishes can be purchased at Llarowe. 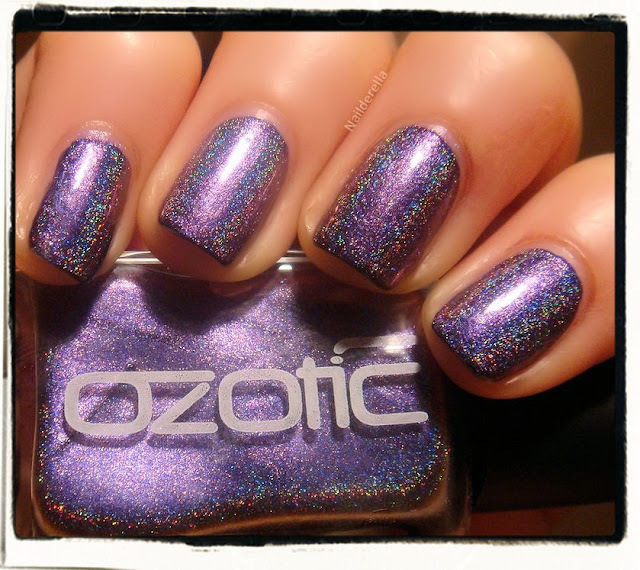 This is the US stockist for Glitter Gal, Ozotic, A England, and Hits polishes, 4 awesome nail polishes brands.They sell internationally and have an awesome customer service. You can visit Llarowe on Facebook.